Small 4 Style: Wits + Beaux Knocks Everyone's Socks Off! Wits + Beaux Knocks Everyone's Socks Off! Designed in NYC, made in the USA, and worn by all... that's what men's fashion accessories brand Wits + Beaux is all about. Standout men's accessories are hard to find, so the founders of Wits + Beaux (Kevin, Dan, and Kent) made it their mission to design bold fashion accessories for men that are made in the United States and sold at affordable prices. This season, Wits + Beaux is doing a Kickstarter campaign to promote domestic manufacturing, resulting in high quality accessories at reasonable prices. The founders are also working on a sock-designer feature on their site where customers will have input in each new collection from Wits + Beaux. Who wouldn't want to back that? Learn all about their company, watch their video, and see what it's all about on Kickstarter. After hearing about all the great things this brand has been doing, I was curious to style them for my little brother, debonair boy Grant, and myself. I know they're men's socks, but the Wits + Beaux slogan does say "worn by all" doesn't it? Fun socks are always the perfect way for guys to spice up their suits or jeans. All of my guy coworkers at Nordstrom wear colorful, patterned socks and I love the subtle fashion statement. For my teen brother Grant, socks are also an integral part of his wardrobe. 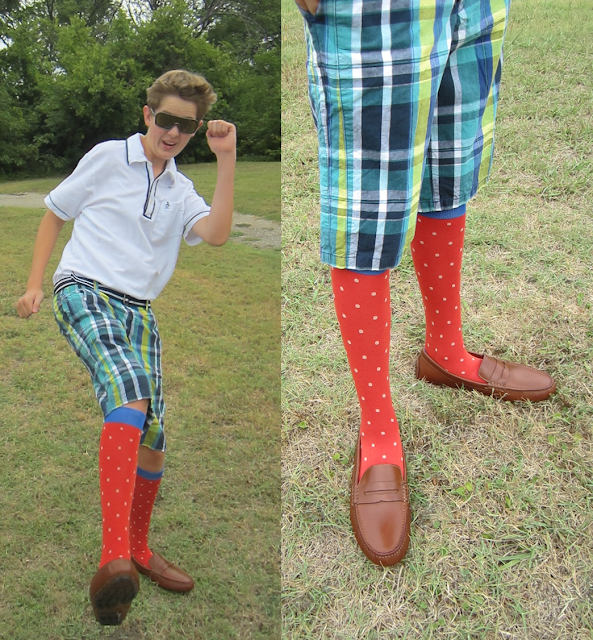 From school to golfing to attending fashion events with me, making a statement with socks is always important. Now where does women's fashion come into this? Wits + Beaux socks come in every girl's favorite patterns and colors. They're the perfect fall accessory. I styled my Wits + Beaux socks with booties and wedges for a fabulous pop of pattern for every occasion. Getting the Wits + Beaux experience was such a treat for us. My brother cannot wait to wear these socks this fall (and me too!). 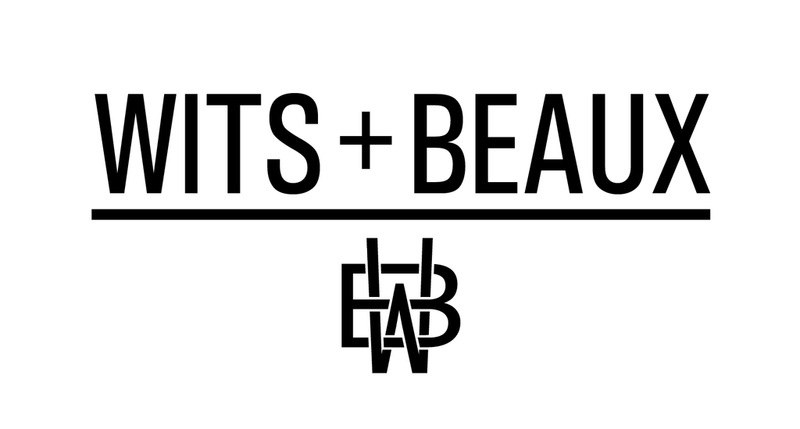 Don't forget to check out Wits + Beaux on Kickstarter and on their online store. Use promo code Insta20 to get 20% your order!